Welcome to the Wheatley School Alumni Association Newsletter Number Fifteen (15). Sadly, it reports the passing of two of Wheatley’s “Old Lions,” Melvin Rosenstein (Science) and Joseph McCormack (Mathematics), who were at Wheatley from very early on; and of Peter Malm (Class of 1960) and Scott Lynch (1979). There’s also a “mini-bio” of one of Wheatley’s more Colorful Characters, Alan Michael Angell (Class of 1973) and notice of the publication of a book about college admissions by Wes Berkowitz (Guidance) (who happens to be a wonderful source of Wildcat News for me). But Pride of Place goes to David Pinter (Class of 1968), a Bengeyfield Drive neighbor of mine (back in the day) who has become quite a philanthropist, and is the force behind a fundraiser (with the emphasis on ”fun”) taking place tomorrow night, Monday, November 6, at the B. B. King Blues Club in Midtown Manhattan. Sounds like a wonderful event for a worthy cause. David Pinter (1968) - For the 13th year in a row, David, along with Haywood (“Woody”) Mann (Class of 1970; brother of Mark, Dana, and Jason Mann), is putting on an event to benefit a program of free tennis clinics in underserved NYC parks for senior citizens. Says David, “Woody is one of the world’s great acoustic guitarists & just returned from a summer touring Europe.” David and Woody, along with David’s friend Virginia Wade (yes, the tennis legend) began with Virginia giving a tennis clinic to 30 participants in Central Park. They have served over 5,000 seniors in 16 parks in all 5 boroughs. The program provides equipment, such as yoga mats and tennis racquets. Now for the sad stuff. McCORMACK - Joseph T., of Levittown, on October 31, 2017. Beloved husband of Patricia. Loving father of Mary Connor (Michael), Thomas (Pauline), Peggy, Eileen Reish (Jeff), Joan Corsitto (Tom), Elizabeth Naughton (Jon) and Gerry (Eileen). Dear brother of Rosemary Lucas. Cherished grand-father of Jackie (Brian), John, Nicholas, Cameryn, Danielle, Jake, Sam, Christopher, Daniel, Greysen, Devin and Kendyll. Friends may call Sunday, November 5, 2-5 and 7-9pm at the Thomas F. Dalton Funeral Homes, Hicksville Chapel, 47, Jerusalem Ave. (corner of W. Marie St.). Mass Monday 11:15am at Holy Family R.C. Church. Interment Calverton National Cemetery. Memorial donations may be made to the Joe McCormack Memorial Fund at Alzheimer's Association. (alz.org). 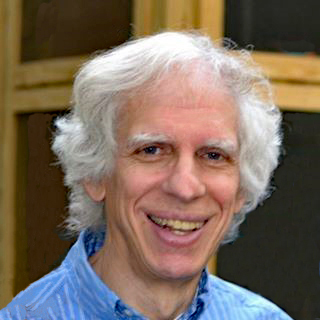 Melvin Rosenstein – Mel lived in FL. Died at the age of 90. Peter Malm – 1960 “My uncle passed away on August 7, 2017. Regards, Michael Ullrich.” Michael is Peter's nephew, the son of Susan Malm Ullrich, Class of 1964. Now for an interesting life trajectory (which at first I refused to believe, but he swears it is all true). “After leaving high school early I traveled the country, living in NYC, Miami Florida, Austin Texas and Marin County California, where both my boys were born, and where I buried my parents…….and out of the country in The Bahamas, The Caribbean, Colombia and Sitges Spain, ending up where I am now living, Jomtien Beach Thailand. I was fortunate to be able to invest my Bar Mitzvah money into several successful but highly risky investments and have not really had a job or career or attended college. My younger son, Nick (now 25), lives near me here in Thailand with his girlfriend. He teaches kindergarten at a government school.....it pays less than nothing, but he likes helping others. I gave my kids their inheritance a few years ago so I could see them enjoy life more. He was managing a brothel here but found it less than rewarding and bad karma. He is pictured here with some of his students on Thailand's Arbor Day. My whole story is pages long, with adventures of all kinds, including sailing my small yacht, which sank, and having spent 7 days on a sand bar, to flying planes from Colombia to Normans Cay in the Bahamas and Republic Airport on Long Island. Now I live on a tropical beach in Thailand, just enjoying life every minute. I walk 10K every morning, swim, then go to the gym and finish with a therapeutic Thai massage. My days are full and I sleep well, eat well, and laugh a lot. Visitors welcome! Guidance Department – Wes Berkowitz. Wes was a Guidance Counselor at Wheatley from September 1979 through June 2012. Before that, he was the Guidance Counselor at The Willets Road School in the 1976-77 school year. In the spring of 1974 he was Wheatley's very first “Guidance Intern” under Director of Guidance Will Monsell. “It’s finally here! Jamie Reich and I are bursting with excitement to share that the new, expanded 2017 edition of our publication, "The Book of Answers: The Expert’s Guide to Navigating College Admissions,” is now available on Amazon (https://tinyurl.com/yc732dxa), and there is a Kindle version, as well (https://tinyurl.com/y8loawtj). Our book will also be available in bookstores in a few weeks. This substantive, user-friendly resource offers straightforward answers to the most frequently asked questions by students and parents, covering every nuance of the exciting/daunting college admissions process. We believe that you will find our book to be the "go-to" guide as you navigate the high school years leading up to and including application time. Class of 1961 (Richard Kopelman) - Thank you so much for your wonderful newsletter. Class of 1961 (Camille Napoli Cannizzo) - What a great job you do (at all hours, btw)?! Class of 1961 (Judith Schaffel Rubin) - Art, this is wonderful! Not that we needed the reminder, but what a lovely, accomplished group of people. I did read all the way to the end - fascinating. I know it’s a lot of work but really worthwhile. Thank you, thank you!! Class of 1965 (Sharon Neely Halm) - Once again Art, thanks for the wonderful newsletter. I loved reading every word that has been written and loved all of the memories. Class of 1965 (Jane Wild Carrel) - Thanks for the newsletter. I loved the original, interesting format. It’s good to hear about Wheatley teachers and alumni. It must have taken a tremendous amount of work to put it all together. Thank you! Class of 1966 (Alison Kent Bermant) - Thanks for this. Particularly loved the stories about Lynne Landsberg and Lauren Karasyk Oakley. And always wonderful to hear from Mr. Wathey (can't ever imagine calling him Wes!). What a treat?! Class of 1967 (Lois Ertel Hara Burdge) - Thank you for all your work; I love reading the Newsletters. Class of 1967 (Nancy Stevens) - Terrific newsletter! Wheatley-ites never cease to amaze. Class of 1968 (Ricki Spier Cohn) - Thanks for all the news! Class of 1969 (Nancy Weissman Frisch) – Thanks for doing this! Class of 1970 (Jane A. Madison) - Thanks for this wonderful newsletter. I really enjoyed reading about these alumni, especially the reunion romance! Class of 1973 (Susan Davis Pereira) - Thanks so much…….I’ve already heard from a few old Wheatley pals who signed up for my mailing. Thanks again for all that you do for Wheatley Alumni! Class of 1980 (Lawrence Michael Weiss) - Great newsletter. I very much appreciate all the work you do on behalf of the Wheatley community. Class of 1982 (Kim Ianniello Costa) - Thank you for the Newsletter. I'm very appreciative of all the work you do for the Wheatley Alumni. Teacher (Bob Brandt) - Thank you, Arthur, for this latest installment. Both a joy and emotional at the same time. It is wonderful to see the "kids" grown up and adult. Like seeing one's adult children. One’s children, but friends on a new level. The sadness comes from those former students who have died and for the opportunities missed in keeping up with them in contacts and notes. I thank you for the families’ news and for the wonderful and sometimes painful glimpses into their lives. Guidance Staff (Wes Berkowitz) - Great newsletter, Art, in spite of the sad news. That’s it for now. Remember, send me your bio, before someone else sends me your obit.